TOPGUN — Airfield Supply Co.
Chyna has been a wonderful addition to the Airfield crew. Her dedication to her work and positive attitude definitely help the budfloor run flawlessly. We were able to ask her a few questions to help you get to know the April 2019 Top Gun a little better! AF: What got you into Cannabis? CC: One of my friends introduced it to me when I was going through a stressful time in life. AF: How do you like to consume cannabis? CC: I like to smoke only flower. AF: What’s your favorite strain to smoke? CC: Black Jack/ Uzbeki (now that I’ve tried it). AF: What’s the best thing to eat when your lit? CC: Fruit tastes really good when I’m loaded! AF: If you could smoke with one person from history? AF: What is your favorite thing to do on your days off? CC: Hang out with my dog, be outdoors, play basketball and cut hair. AF: What kind of music do you enjoy? AF: What is the last movie you liked? CC: It’s not a recent one but I love All About the Benjamin’s. Andrea is an amazing employee here at Airfield Supply. She keeps the budfloor fun and positive, while staying professional and courteous to our clientèle. Andrea proves constantly that she is a strong confident person that has experienced a lot. Her strength is a personal inspiration to her co-workers. AJ: I grew up around it, there isn't one person in my family that doesn't smoke. AJ: I roll BARZ. An eighth of weed and a gram of wax in a Backwood. AJ: Anything of my catering menu! AJ: Richard Pryor... It would be priceless!! AJ: Cook, Shop, Smoke, and Dance. AJ: Anything I can dance to, but Hip-Hop is my ‘ish! AJ: Hidden Figures. It made me proud to be a black woman. TJ has been a fantastic addition to the budfloor for nearly the past year or so. He is one of the nicest and most genuine people we have working. He respects his coworkers and guests, and keeps a cool, calm attitude at all times. Let’s learn more about him! TJ: Really it was a roommate we had move in for a year and he gave me a few joints here and there and I had never had in my life a clear headspace. So to realize a universe existed without (or at least a lot less) anxiety and all the stuff it does to you was mind blowing. Never turning back. No regrets. TJ: Flower, I find, is the purest and most fun. Though very-very high dose edibles for my weekends. TJ: Tahoe OG. Piney perfection that puts into me into blissful balance. TJ: Spicy chicken wings or an M&M Mcflurry obliterated by oreo. TJ: John Locke. He was always one of my favorite philosophers and once inspired me to become a history teacher. TJ: Dragonball Super: Broly. Absolutely incredible. When you come into work here at Airfield Supply, you can always count on seeing Joe’s smiling face. He is one of the most compassionate budtenders that we have on the sales floor. Joe’s devotion to the Cannabusiness is apparent from the emotion and attention that he gives to each customer. We are thrilled to have him as our January 2019 Top Gun! JT: I got into cannabis way back in high school, not because I was that stoner friend (which I was) but because my aunt was sick. I ended learning about how different strains affect our bodies differently. JT: I prefer flower but when that isn’t available gonna have to go with concentrates: 710, Arcturus, and Raw Gardens are my favorite. AF: What’s your favorite strain to grow? JT: My favorite strain to grow would have to be Blue Dream it’s my all time favorite strain. I tried growing for the first time this year and actually succeeded. JT: I can’t choose between just one person. But I’ve always wanted to smoke with George Washington Carver, for the botany lessons he could provide and then also Michael Jordan. JT: Normally in my days off I’m doing a double feature at a movie theater. I just went and saw both Aquaman and Spider-Man: Into the Spider-verse. Both were entertaining, but Aquaman was pretty bad to watch at some parts. Like past the point of terrible. JT: My favorite music genre is hip-hop, old school rap and some of the newer stuff. But since starting at Airfield I’ve been getting into Lo-fi type beats. 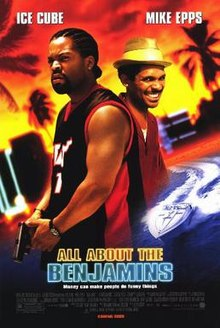 JT: Last movie I really liked from start to finish? Probably Blade Runner 2049. I loved the original, so I was hyped to watch the sequel. The cinematography was beautiful and the colors were fantastic. I loved every minute. Kriste Stirratt has been a tremendous help on the budfloor. She is reliable and extremely knowledgeable. The MGMT staff here at Airfield would like to extend our thanks for all of her amazing help! KS: I've always had issues with anxiety and have found solace in cannabis and its community. I was invited to a prop 215 event and immediately fell in love with the culture. I've been in the community ever since. KS: Im not one to turn down a good blunt or bong rip, but my preferred medication is dabbable concentrates. I find the act of dabbing soothing and if done right the tastiest method to utilize. KS: I personally have never grown my own flower but am currently in search of some Forbidden Fruit. If I find you, I will grow you! 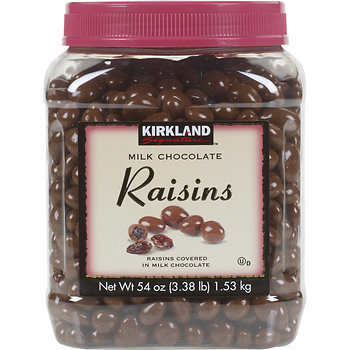 KS: Munchies are an awesome side effect of cannabis and my go to is chocolate covered raisins from Costco! KS: William Shakespeare. Also it is to have been rumored that he partook in the devils lettuce himself. KS: When im not working I enjoy going to the movies or binging a series. Right now im watching skins and im going to see Aquaman! KS: I listen to and like all music from classical to jazz funk, but I am currently listening to Chris Webby's new album Next Wednesday. Its a good listen. You should check it out. KS: I really enjoyed Ralph Breaks the Internet! The messages within the film fill your heart and the villain of the plot is shocking. Got to watch it to find out more! Airfield: Daniel Fernandez has been a great addition to the budfloor. His warm and positive attitude is a hit with his fellow budtenders, as well as our daily clientele. DF: I got into cannabis when I was around 14, I used it as a way to get away and try not to think about my problems at the time. From there I discovered the comradery within stoner culture and that has always drawn me closer. DF: Lately I’ve been dabbing a lot mostly because of convenience because it’s too cold to go smoke a j outside. When the weather starts the warm up I’ll probably start smoking flower again and save dabs for before bed. The ritual for either one is what makes the experience I see it as a time to just relax and unwind mentally. DF: I’ve only grown one time and that was this year, I ended up growing two taffie clones. I wish I could’ve grown something more indica dominant because I love Indys, but I like the high on it, it’s cerebral at first and then moves towards the more relaxing side towards the end. I want to grow a headband plant in the future because I know they are kinda challenging due to the way the nugs grow but I want to challenge myself also. DF: I don’t really get the munchies too often anymore but I guess I like to eat hot Cheetos and bean and rice burritos with a bunch of salsa because I always have that at my house. DF: I would love to smoke with Marvin Gaye, I admire his music and how he thought as an individual so it would be really cool to smoke a j and pick his brain for a few hours. DF: I love to go hiking and play basketball mostly, I love being outdoors so whenever I get the chance I try to be. I go hiking at least once a week, getting away from the city really clears my mind and gets me ready for the week. DF: I love a bunch of music, mostly I listen to like jazzy blues alternative it doesn’t have like a specific genre but it’s chill and I can get really high and lost in it, I grew up on 90’s alternative from my dad but I listen to underground rap, 90’s rap, my grandpa showed me oldies and Motown music as a kid so I love that too. DF: Eternal Sunshine of the Spotless mind, a beautiful movie. Airfield: Frank “The Bank” Hill has been a superstar here at Airfield since being brought on-board. Aside from his spectacular work with perfect banks. His positive attitude is always welcomed and is a hit with customers. Congratulations to Frank for the great work! Frank Hill: Cool, thank you! FH: Curiosity and Adult comedies! FH: Zig Zag hemp wraps. They call them greens. AF: What is your favorite strain, that you haven’t had in awhile. FH: Presidential OG. The “prezzy” that was the first extract strain I tried! AF: What is your favorite food? FH: Wings & Pizza all day! Kid food pretty much! FH: Roberto Clemente, Pittsburgh Pirates Player. He was one of the players I looked up too. FH: I like to be outside, blunt walks. Skating if I can. FH: Low-Fi Instrumentals & Smooth Hip-hop. Mac Miller and Curren$y. FH: Seven Pounds with Will Smith. It was a really good movie! Matt has been one of the most reliable budtenders on staff here at Airfield Supply Company! His compassion and respect for the business has shone brightly in his few months with us. He has also shown an interest in expanding his knowledge of the business. He has a grow that he has been maintaining for close to four years. Airfield would like to recognize Matt for his hard work at becoming Employee of the Month for August 2018. Airfield: Congratulations on obtaining Top Gun for August 2018. Thank you for the hard work! Matthew Raasch: Yes! Thank you! MR: I had started using it mostly for ADD. I got a much better focus from cannabis than I did from my prescriptions. AF: What job did you have before this one? MR: I painted houses and I do a lot of video work. MR: I work on my days off. But I enjoy going to the beach... and making music too! Bryce has been killing it at Airfield for a couple of months now. He is always eager to start a new project, and is constantly a go-to for the Supervisors and M.O.D's. He has also tied for second place in customer survey responses for the month of July. We are sitting down with Bryce for a quick Q&A to see who he is, and what he likes! Airfield: Congratulations on obtaining Top Gun for July 2018. Thank you for the hard work! BT: The fact that there are so many benefits and ways it can be used! Also, there is such a large stigma, and that's not necessarily good. But it's changing for the better. BT: I was an assistant General Manager at City Sports Club selling memberships. BT: I like to smoke it in a joint. Taking a fat dab! I always enjoy an icy bong rip, that's the best. BT: Homemade Vegan Nachos! Black beans, zucchini, seasonings, onions, etc. It's the bomb. It's so filling! BT: Berner. He is a big influance in the cannabis and music industy! BT: I love going on hikes. All over the place. Along the coast or deep in the woods. BT: Mostly hip-hop and reggae. Some rock too. My favorite right now is Logic, he's killing it. BT: Black Panther. It was really good! It had a super deep message. Liana has been a tremendous asset to the Airfield community. Her dedication to the business has shined through tremendously in the … months that she has been with us. This is a brief Q & A with Liana to help us all get to know Airfield’s Top Gun a little better. Airfield: Congratulations on obtaining Top Gun for July 2018. I think we all agree that you deserve it. Liana Lemmon: Thank you so much. It’s been hard work! LL: My dad has grown for a long time and it has been a part of my family! AF: Do you have a favorite Strain or Product? LL: Favorite strain? Northern Lights. Favorite product in general… The 1:1 by Care by Design. I like the relaxing effects and stress relief is great! AF: What is your favorite ingestion method? LL: Smoking flower. Joints and blunts! AF: What is your favorite thing to do while using Cannabis? LL: Hiking, watching movies, playing video games… just living life! 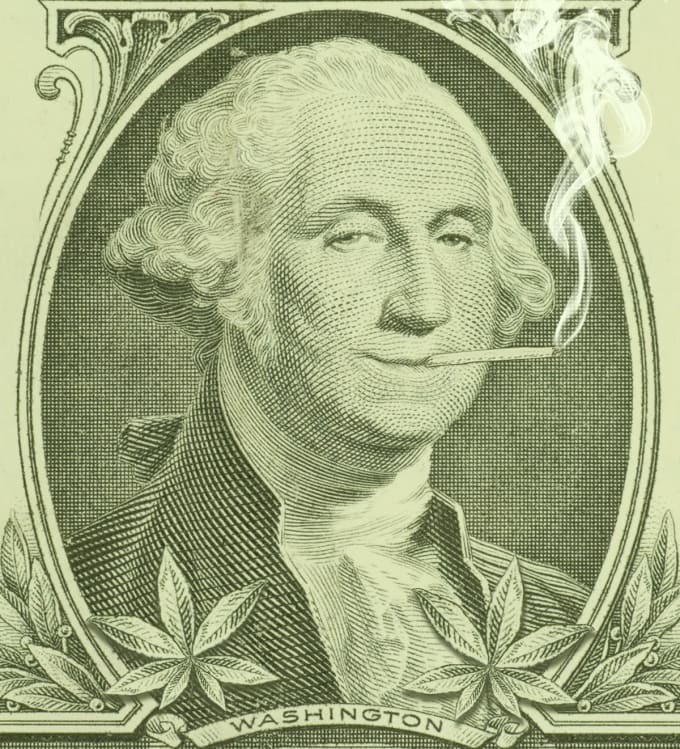 LL: George Washington! He grew pot! LL: Sleeping is great! But I also like being outdoors! LL: A little bit of everything, Rap, Rock and EDM.